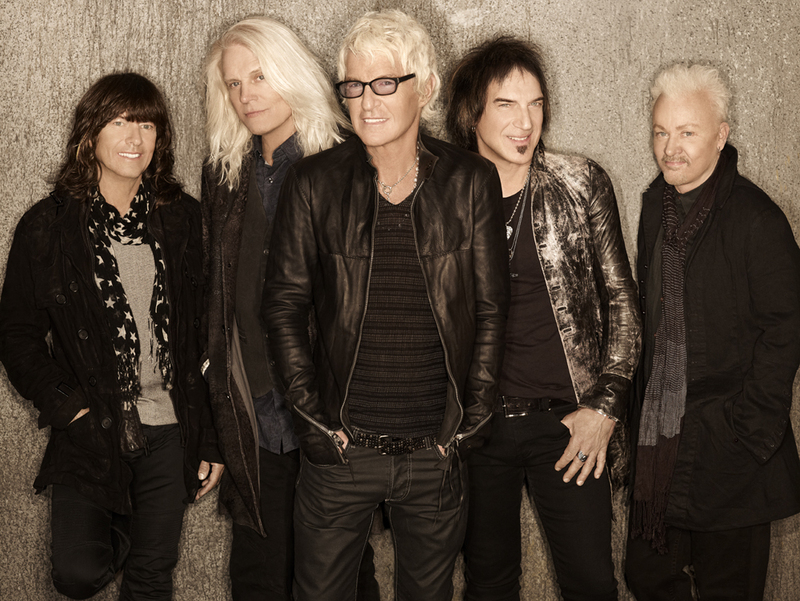 REO Speedwagon takes the stage on Friday, August 16th at the 2013 Dodge County Fair. It’s wristband day, ride unlimited rides on the Midway from Noon to 5pm for $20. Enjoy several free stages throughout the grounds like Kandu the Magic Show, Log Hoggers Chainsaw Carving, Pig Races and Wild World of Animals. Sure, you can call the members of REO Speedwagon rock stars. But if you have to label them, here’s the more accurate term they prefer: Working musicians. Formed in 1967, signed in 1971 and fronted by iconic vocalist Kevin Cronin since 1972, REO Speedwagon has – for decades – been a confounding blend of consistency and change. They rode in station wagons, going from tiny gigs to even tinier gigs, just to get the REO name out in the early days. Later they rode the top of the charts with a RIAA certified 22 million albums sold in the U.S. and 40 million around the globe, with a string of gold and platinum records and international hit singles. The 9-times certified Hi Infidelity remains a high-water mark for rock bands. Make all the “Ridin’ The Storm Out” or “Roll With The Changes” cracks you want, but that’s exactly what the band has done. REO Speedwagon has that Midwest work ethic. And yes, they do roll with the changes. With the modern-day music industry disintegrating, the band members recorded Find Your Own Way Home in 2007 and put it out themselves through Walmart – and personally drove to radio stations across the country to get it heard. Ultimately the album (yes, REO Speedwagon still makes albums, not a bunch of songs) had more success than it would ever see with a record company. Whatever the band members need to do to connect with fans, they do it. “We’re still doing it and still going strong,” Cronin says. Cronin (lead vocals, guitar, keyboards) has always cast an eye to the future, along with band-mates Bruce Hall (bass), Neal Doughty (keyboards), Dave Amato (lead guitar) and Bryan Hitt (drums). It wasn’t a surprise to Cronin to see the industry run aground. “I think maybe the music industry needed to fall a little bit because it was getting bloated and there were just too many people putting out CDs with one or two good songs on them and eventually that’s gonna backfire,” Cronin says. What never backfires is a great live show. In 2009 REO Speedwagon hits the road on the Can’t Stop Rockin’ Tour with STYX and 38 Special, three of the hardest working bands in America. Sponsored by VH1 and Rock Band, the tour is a recession-buster night of rock ‘n’ roll, offering the best value this year, with some tickets as low as $13.50. What do people want to hear these days? Hope. Passion. A reason to do the things we do. And songwriter Cronin is a longtime fan of hope. To that end REO and STYX have teamed up on a new single, “Can’t Stop Rockin’,” co-written by Cronin and STYX’s Tommy Shaw. When the talk turns to benefit concerts the names that come to mind are George Harrison, U2 and Bob Geldof. REO has quietly done its share, sans self-serving promotional tours, from appearing at the Live Aid concert in 1985, to a benefit for port authority workers after 9/11 and recent MusiCares shows, along with a “Ridin’ The Storm Out” benefit concert that raised more than a half-million dollars for Iowa flood relief in 2008. In what little downtime he has, Cronin stays busy with appearances on shows like Politically Incorrect with Bill Maher and his own writing on his blog at KevinCronin.com. He recently appeared on FOX-TV’s Don’t Forget the Lyrics! “The world is going through a weird phase, and everybody needs music now more than ever. We all need to join our friends, pool our resources, combine our energies, because there is power in people coming together,” he says. It’s a busy life, but it always has been for the band. Formed loosely in the late ’60s at college in Champaign, IL, REO (famously named after a fire engine) and its fans quickly realized there was much more going on here than your average frat-party band. By the early ’70s the band’s unrelenting drive, non-stop touring and recording jump-started the burgeoning rock movement in the Midwest. It carved a path eventually followed by STYX, Kansas, Cheap Trick and more. Platinum albums and freeform FM radio staples such as “Ridin’ The Storm Out” followed, setting the stage for 1980’s explosive Hi Infidelity. Today it’s all about what it has always been – taking good care of the band’s legacy while keeping the focus on the future. That may be even more important these days, Cronin believes. A diagram that will help describe the handicap seating is located on the Concert Seating Page of our website. A very large handicap reserved seating section will be available on the raised concrete platform at the foot of sections F thru G. Please contact our security personnel if you have any problems the night of the show. Trying to find details on the REO Speedwagon concert. Do we have to purchase tickets in advance? Pay at the door? Thanks for any help! Our FAQ Page is a great place to answer your questions. Tickets are taken at the gate as you drive in, from the car window. The Grandstand Entertainment is absolutely FREE !! All you pay is your gate admission to the Fair! Seating is first come, first serve. There are no advance daily tickets, reserved seating or VIP tickets. FREE Parking and many other family friendly shows within the Fair. Ticket prices are listed on many of the information pages within the site. Thank you.